Hydrant Games today announced that players are now able to dive into the PvP and MOBA inspired MMO Overpower for free under the Steam Early Access program. The event kicked off earlier today and hopes to entice players into an action driven PvP experience in a class-based fantasy combat area with developers taking inspiration and influence from iconic titles in the competitive gaming scene such as Quake and Counter-Strike. 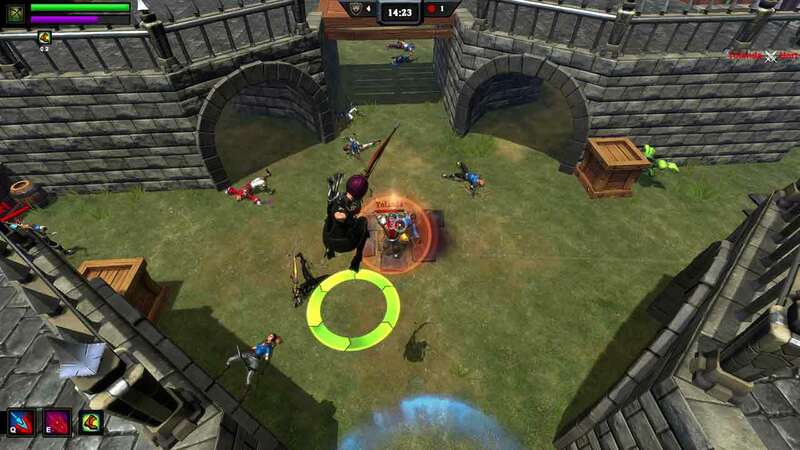 The team hope to reinvigorate the stale MOBA genre with a more active and involved combat system inspired by the likes of Quake and Counter-Strike. Boasting an impressive list of fantasy-based character classes players are free to choose their heroes, customize their weapons and abilities, and take to a whole new arena of combat. A variety of class abilities and weapons to customize your unique playstyle. Skill Based Combat inspired by Counter – Strike, Quake, and the MOBA PvP genre! 9 Exciting Battle Arenas to destroy your enemies in! Brand new fantasy twists on classic game modes create new gameplay experiences. 4 Classes to choose from with plans to add many more! 5 different Game Modes keep gameplay fast and refreshing. Both Male and Female Playable Genders included. For more information or to download the game, check out the official Steam page.